Anybody who has experienced and applied SEO into their Marketing strategy know the benefits it brings. However before adding it into your marketing strategy, finding an SEO expert that will do it right is very important. An experienced SEO Services professional will analyze your site before it can determine what it needs. Before commencing SEO it is necessary to build a reliable Search Engine Optimization strategy. Ask yourselves, what you want to achieve? An SEO Strategy sets goals and objectives, and presents a framework within which to achieve those objectives. The simplest way to determine this is with a SWOT Analysis (Strengths, Weaknesses, Opportunities and Threats Analysis). A SWOT analysis can identify key areas you need to focus on or improve upon, it can really help when starting a SEO campaign for any new or existing website. 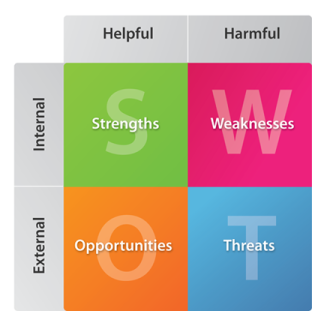 Use the SWOT analysis as a part of your marketing strategy to find your strengths and weaknesses. Then carefully measure them against any opportunity and threats. Ranking in first page in your specific Geo-Location. Tells you what’s affecting your site and lowering its ranking. Weaknesses are anything that interferes with your company sites ability to successfully complete its goals. Key words that may have little competition but a lot of ROI. Don’t let your business be an opportunity for success by another company because or your weaknesses. A SWOT Analysis can provide a very good overview of your companies website, and can be a foundation for a successful and realistic SEO strategy. Citizen of the world, SEO Miami Innovator, Social Media erudite and chronic Starbucks drinker… did I mention I make great Guacamole.